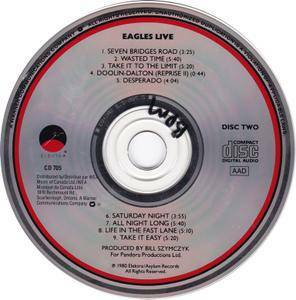 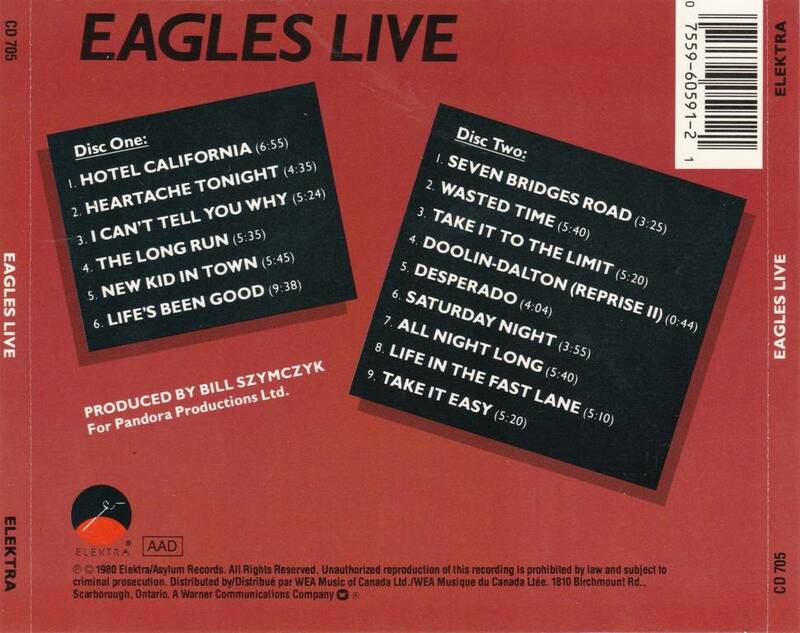 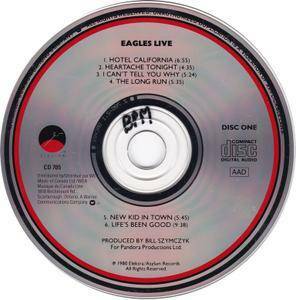 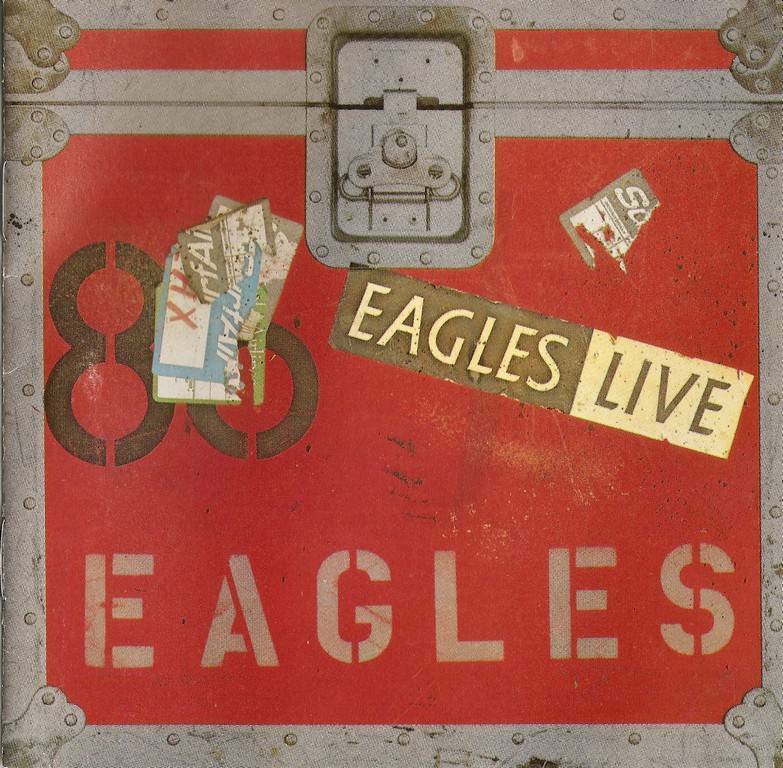 Although Eagles Live includes four tracks recorded in the fall of 1976 (thus allowing for the inclusion of departed singer Randy Meisner on "Take It to the Limit"), the bulk of the album comes from the end of the Eagles' 1980 tour, just before they broke up, and it reflects their late concert repertoire, largely drawn from Hotel California and The Long Run. The occasional early song such as "Desperado" and "Take It Easy" turn up, but many of the major hits from the middle of the band's career – "The Best of My Love," "One of These Nights," "Lyin' Eyes" – are missing, replaced by such curiosities as two extended selections from Joe Walsh's solo career, "Life's Been Good" and "All Night Long." 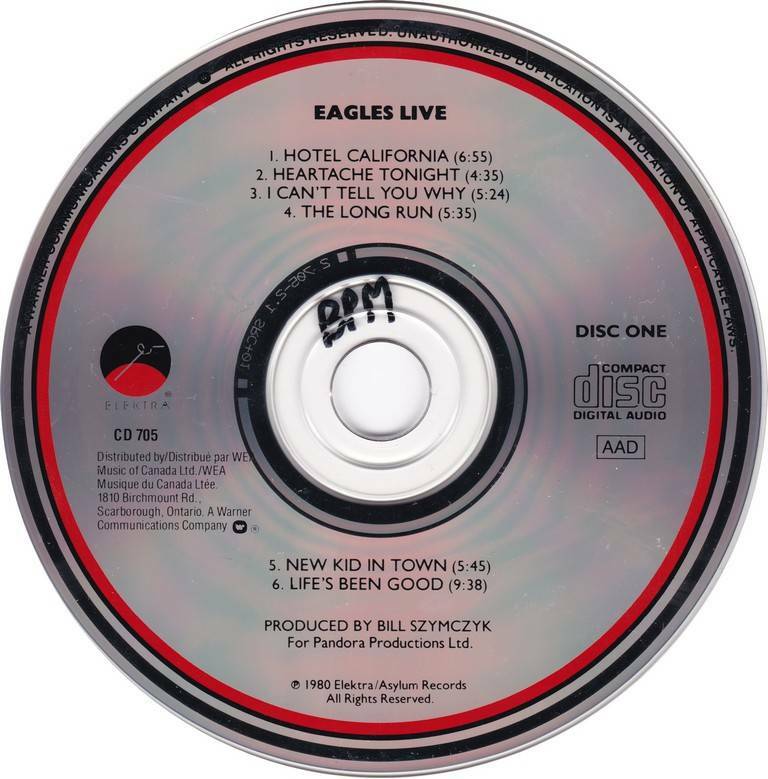 At least Walsh introduces some live variations to his material; the rest of the Eagles seem determined to re-create the studio versions of their songs in concert, which may work for them live but almost makes a live recording superfluous. The previously unrecorded rendition of Steve Young's "Seven Bridges Road" is welcome, and the album would have benefited from more surprises as well as a livelier approach to a live recording.